Southwest circle in the Red Deer crop formation. 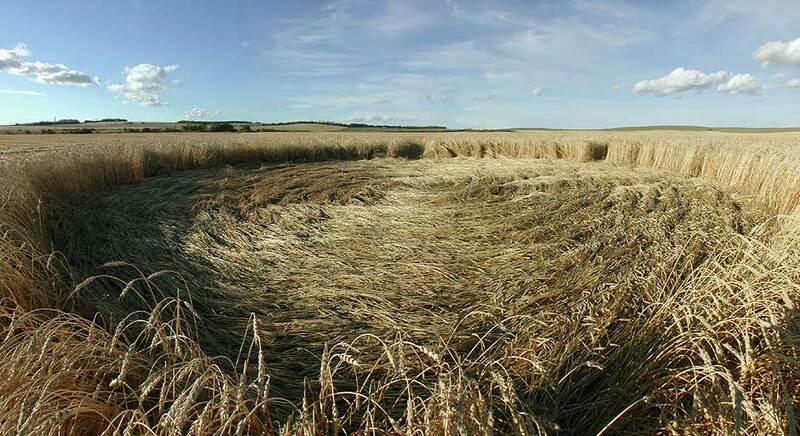 Circle diameter is about 44 feet (13.4 m). Please use your browser scrollbar to see entire panorama.